Leading fashion industry training grant provider, CAPITB Trust attended the NatWest UK Fashion and Textile Awards 2014 at London’s Tobacco Docks on Thursday 22nd May. A keen advocate of UK manufacturing, CAPITB Trust has been a prominent supporter of the UKFT’s “Let’s Make it Here” initiative, and was delighted to join the UKFT in presenting this year’s CAPITB UKFT Let’s Make it Here award. The award, which recognises manufacturers or brands who produce high quality apparel and textiles entirely in the UK, went to Milliken European Airbag Products. 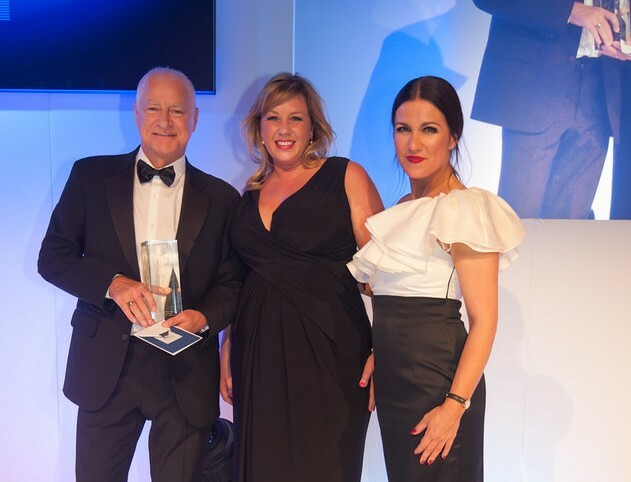 Pictured above are Graham Swann, Vice-President of Milliken, with television presenter Susanna Reid and CAPITB Trust’s Lisa Turner. CAPITB Trust was proud to be a part of this leading industry event that does so much to promote and celebrate British fashion manufacturing around the world. In its capacity as a grant provider, the Trust works with UK fashion businesses to help develop their workforce and with individuals to provide them with the support they need to gain the training and skills required to succeed in the UK fashion industry. Events like the NatWest UKFT Awards play a vital role in the promotion of UK fashion on the world stage, ensuring a glittering future for those that currently work in the industry and those yet to take their first steps.